Toronto, ON-based sound sculptor Foxes in Fiction (aka Warren Hildebrand) makes dense, orchestral pop that could place him somewhere in the chillwave movement, though his honesty and attention to detail suggest he's more than just a fad. Having said that, the kid knows how to have a laugh, demonstrated by a recent cover of Katy Perry's "Teenage Dream." Enlisting the help of the Vancouver, BC-based Weed, the project takes the addictive melody of Perry's original and removes the sheen. What's left is the kind of foolproof songwriting that comes from a Los Angeles boardroom, but through the lens of some delightfully hazy instrumentation. Essentially, what they've done is turn a guilty pleasure into just pleasure. 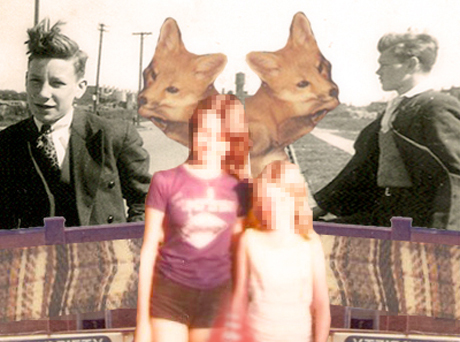 Download Foxes in Fiction and Weed's version of "Teenage Dream" here.